Got elementary OS installed today on a desktop PC. I suspect somehow the graphics card memory is corrupted when I use elementary, because in the reboot situation I could see fragments from the windows session within those artifacts! The card is a new GTX 1060 that I have for almost a month now, it works fine with all games in Win10. Anyone aware of what the problem may be? I had this desktop artifacting with nvidia-367 but it went away when I updated to nvidia-370. The drivers are still a mess and I still get the artifacting briefly after resuming (with Windows assets, like you mentioned), but the desktop artifacting appears to be over. That's a driver bug, if you find the open ticket (Google is littered with mentions of Nvidia artifacting issues). 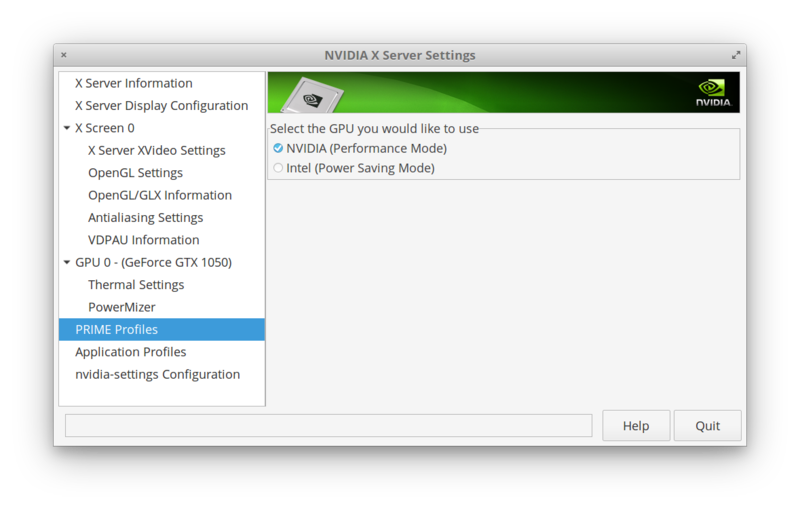 What always works is disabling your NVIDIA card, see Bo rislav's answer. I have the same issue after waking from sleep on a GTX 970. While I haven't found a permanent fix, opening up the System Preferences and setting your desktop picture (even to the one it's already set to) will clear it up. Similar problem comes to me every time when my computer returns from suspend. With all recommended NVIDIA drivers. I cannot say that it is a nice solution, but I found that there's no problem if I switch to the Intel GPU(Power Saving Mode) from the NVIDIA X Server Settings app. The -r flag means replace and the ampersand means to run this in the background process. You can then safely close the terminal. I'm not sure if this would help OP's problem, because changing the background image fixes part of the issues for me. Not the answer you're looking for? Browse other questions tagged graphic-drivers nvidia or ask your own question. 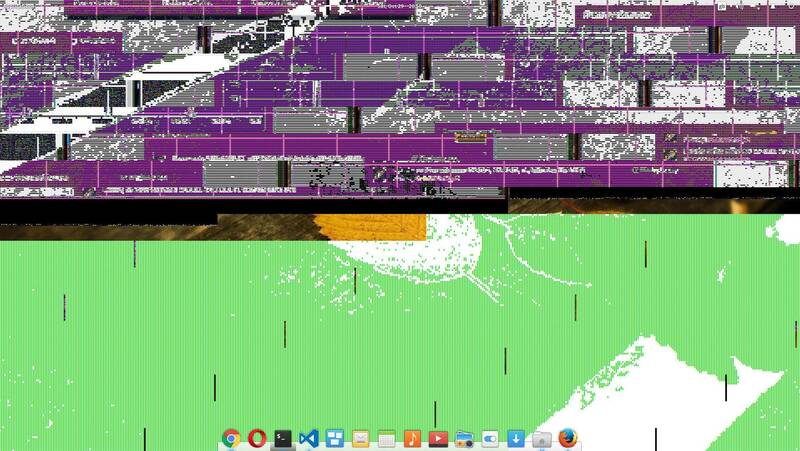 Any ideas as to why my Desktop and Multitasking backgrounds are rendering funny?